Polls: Why is it an Easter Bunny handing out eggs instead of an animal that actually lays eggs like an Easter Duck or an Easter Chicken? Mail art is anything you can mail to someone which both you and the recipient understand to be art. Mail artists often organise in "networks" of people who mail each other their art. The art is only limited by what you are able to physically post, there is no curation, and no censorship. Many mail artists put more effort into the envelopes than their content, and design their own stamps. 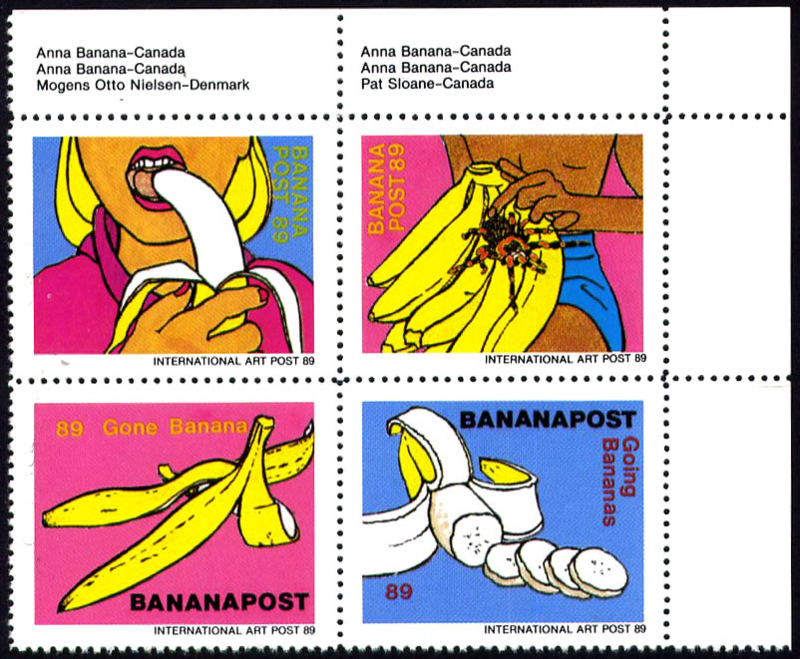 Here is a set of 1989 stamps from mail artist Anna Banana.